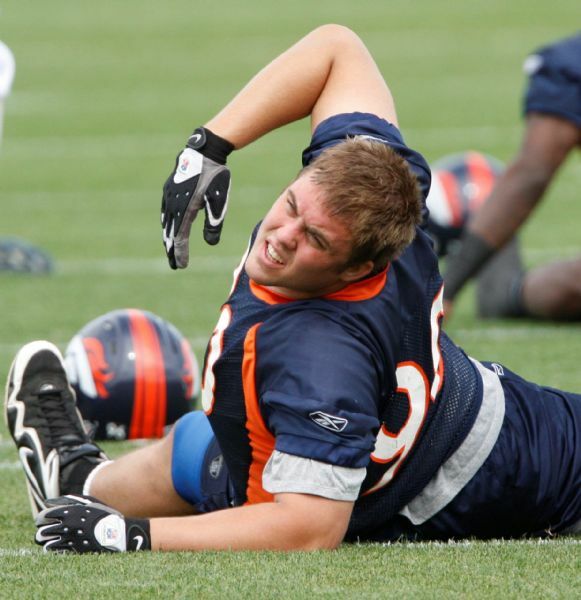 Air Force Academy grad Ben Garland made a strong impression in his first preseason game with the Denver Broncos Sunday night, logging five tackles while playing on the defensive line. Garland has still not publicly announced if he will accept his pilot slot that is waiting for him at Laughlin Air Force Base, Texas, after he completes training camp. His performance Sunday probably didn’t make the decision any easier. If he accepts the pilot slot, his NFL career is likely over. A five-year academy service commitment likely extends to more than a decade if he enters the pilot training pipeline. Bronco’s coach Josh McDaniels said Garland has impressed during practice and earned the time he received in Sunday’s game. Denver invited Garland to camp knowing he will not be able to join their active roster for at least a minimum of two years. However, the Broncos have seen enough potential to keep him around. Unless Garland accepts his pilot slot, he will likely follow in the footsteps of fellow Air Force Academy alum Chad Hall and serve two years active duty before applying for early release and serving the rest of his commitment as a reservist allowing him to play in the NFL. Hall has sat out two years and is now turning a lot of heads at Philadelphia Eagles camp, especially after a stand out performance in their first preseason game against Jacksonville.